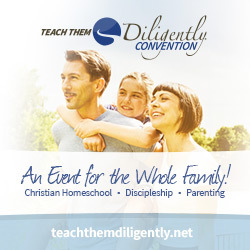 The Teach Them Diligently Marketplace is a totally new concept in homeschool events, which will feature an incredible selection of curriculum and educational materials in a manner that will allow you to compare them side by side to help you choose what is best for your family. There will be curriculum specialists onsite to help you evaluate which curriculums will best suit your children's learning styles. We will even feature outstanding digital resources. It truly is the first ever Homeschool Curriculum Superstore. In addition to the great shopping experience you will enjoy, there will be 4 terrific speakers speaking 11 times throughout the day. So, you will truly be inspired, encouraged and equipped to continue your homeschooling journey! All of this is available for only $15 per family (which includes a $10 gift certificate to use in the store!!) If 1 day just is not enough for you, join us the night before the Marketplace event! Apologia is hosting a retreat on Thursday evening just for Moms. This will be a great night out for you and your friends. Learn more about the event closest to you here: at Teach Them Diligently Locations or our general website Â Teach Them Diligently Marketplace.